All therapists are fully insured and accredited members of their respective professional associations. 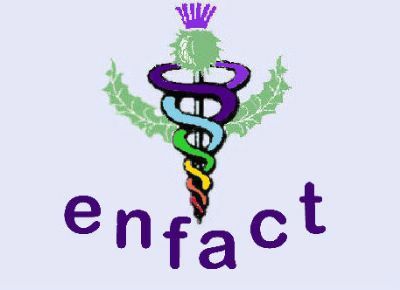 Our Logo has in its centre a Caduceus which is a symbol of wisdom and healing. It represents the body's functions and its connection to the mental, emotional and spiritual worlds; the description of the Tree of Life, the Tree of Knowledge of good and evil and the Tree of Food and Nourishment. This symbol has been used by ancient cultures such as the Greeks and was also used by the Romans as a symbol for truce and neutrality. Scroll down for A-C of Therapists. Nicoletta is a certified Svaroopa yoga teacher and yoga therapist with over 10 years of teaching experience, from beginners to advanced students. She is registered with Yoga Alliance UK as a Senior Yoga Teacher and teaches regular yoga classes in St. Andrews and in Crail, and offers regular monthly yoga workshops in Fife. Svaroopa yoga is a restorative style of yoga which emphasises the release of core muscles through careful alignments and personal adjustments while in the poses. Benefits of Svaroopa yoga are immediate and long term; aches and pains will go away so that you will experience more vitality and joy in your life. She also offers personal yoga sessions where everything is designed for your own unique needs. The same principles of 'core release' are used during yoga therapy sessions which are very effective for a variety of health issues including; back ache (acute and chronic), recovering from injuries, frozen shoulder, migraines, low energy, insomnia. Personal sessions are held at her studio or they can be arranged in your home for an extra charge. Julia lovingly produces an extensive range of hand made, therapeutic creams and lotions containing only pure essential oils in a simple aqueous cream. Her Harmony Healing range is available by mail order.